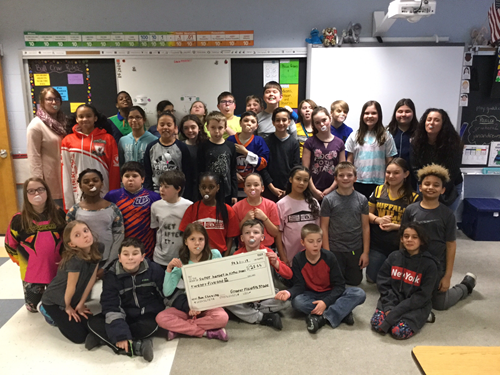 Fifth Grade Raises Money by Chewing Gum! The first Friday in February is designated National Bubble Gum Day! In honor of this day on February 1, 2019, the fifth grade students at Greater Plains Elementary School donated 50 cents each for the privilege of chewing bubble gum in school. A total of $25.55 was raised! The fifth graders voted to donate their collection to Superheroes in Ripped Jeans, an animal rescue group in Oneonta. Great job fifth grade!